This 22-250 Rem cartridge is from Fiocchi’s Shooting Dynamics line of ammunition, a cost-effective means of getting the best performance out of your rifle without having to turn your pockets inside out in exchange for the experience. 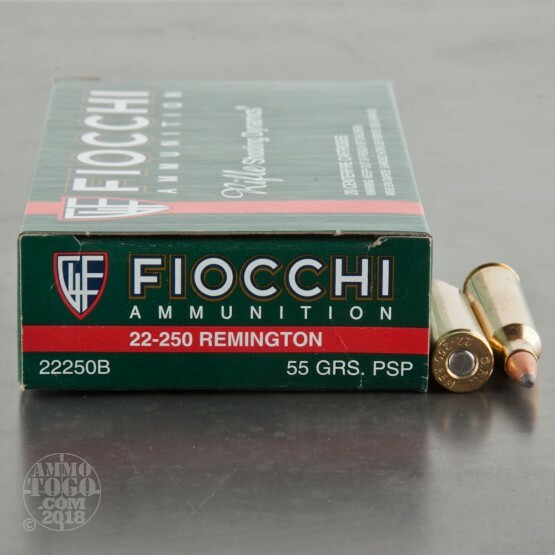 The round’s 55 grain pointed soft point projectile has a more aerodynamic meplat than its rounded counterpart, a difference only a real sharpshooter could perceive but a measurable one nonetheless. 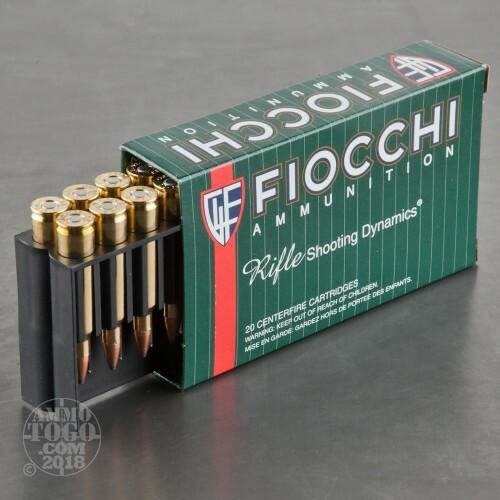 You’ll find this bullet in no way insufficient for the task of hunting, as its exposed core will cause it to deform during penetration to create a wide wound channel. The bullet’s partial jacket assures it will neither deform during ignition nor fail to penetrate most types of media. 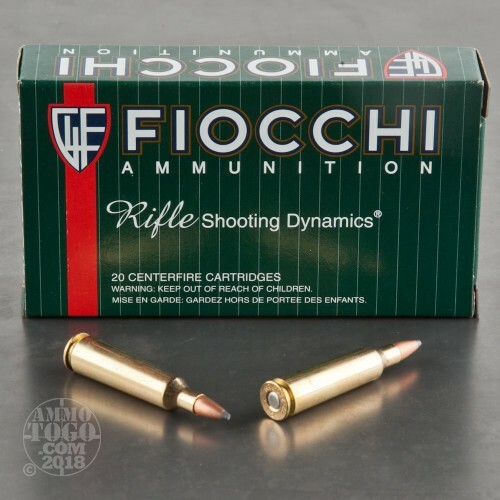 This cartridge features Fiocchi’s own brass casing, which has intensely uniform dimensions and is suitable for handloading. 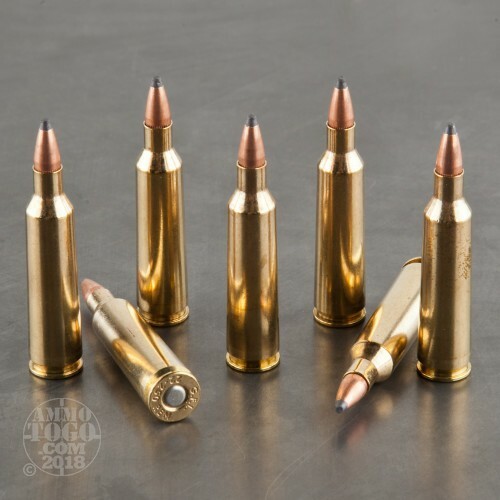 The rounds’ non-corrosive Boxer primers make them stable for long-term storage, and their clean burning propellant will preserve your rifle’s sensitive parts.